These aren’t your typical cherry chocolates! Developed over 70 years, the University of Saskatchewan’s Dwarf Sour Cherries (we like to call, Prairie Cherries™) have become a sensation on the prairies. 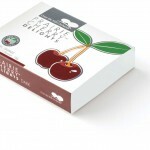 They have incredible tart cherry flavour, dark coloured juice, and very high anti-oxidant levels. Our Prairie Cherry™ Delights have intense flavour! (We’ve seen many women almost faint after trying them at trade shows!) 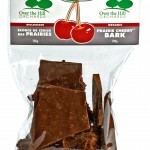 There are no additives, no fondue or syrup, nor added sugar; just simply a pitted tart organic Prairie Cherry™, smothered in a smooth, Organic dark chocolate; what can be better than that? We have our Delights in smaller packages(1′s, 2′s, 4′s) as well for use in weddings, conferences, and corporate gifts. Please contact us for more information and pricing. Please note that since we don’t use preservatives, this product has a very limited shelf life; approximately 5-7 days. We recommend either consuming the product on arrival or storing them in the freezer until one 1hr prior to being consumed. This product can only be sent via Express-Post, and will be shipped with a freezer pack to help ensure freshness, hence the higher shipping costs. Please note that this product is shelf stable, but please keep away from sources of heat.